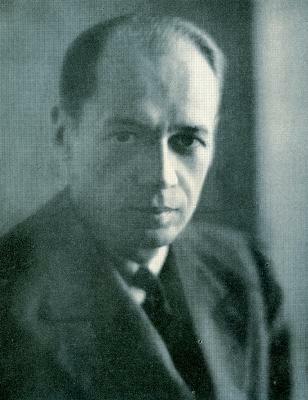 The above quotation (the fors and againsts of which we cagily pass over) appeared on page 313 of CHESS, 14 May 1939. 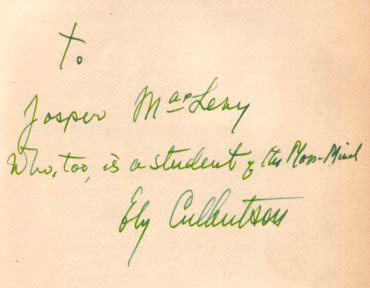 No source was given, and it is thus difficult to determine whether Culbertson did make such a remark and, if so, in which context. We recall no observation of the kind in his lengthy (and unindexed) autobiography, The Strange Lives of One Man (Chicago, 1940), although it does contain several references to chess. The best known of these is too familiar to be repeated here: Culbertson’s account of Emanuel Lasker’s application to him for a teaching certificate for bridge. It appeared on pages 552-553 of the book and has been reproduced a number of times (e.g. by D.J. Morgan on page 460 of the October 1975 BCM). ‘Cards and card games, long my favorite pastime, now became the subject of scientific experiment. I was fascinated by cards – their origin, their structure (so similar to that of their cousin, chess); and their bizarre world, with its own logic and abstractions. ... I took a Fifth Avenue bus for my first hunting expedition in Greenwich Village. Frank Marshall and his charming wife greeted me cordially. Instead of playing chess, however, I asked if I could cut in at a bridge table. “Do you play auction?” Everyone was surprised. I was received with that naïve alacrity peculiar to many bridge players, who regard every stranger as a customer. Their hopes were amply confirmed as I started to play. Such bizarre, unconventional, crazy bidding had never been seen before. No wonder – I was the only player in the world who then played the Culbertson System. That night Janowsky, one of the world’s greatest chess champions, who also fancied himself a master at auction, was playing at my table. His luck was running badly, and he suggested that we double the stakes and play for a penny. Since everyone was already playing on Janowsky’s losses, it was agreed; and later we doubled the stakes again. We played all night. I had never worked harder nor played better. When the game broke up at ten in the morning I had won a hundred dollars, most of it from Janowsky. He told me he would pay me the next day. That was all right. But the next day he died. 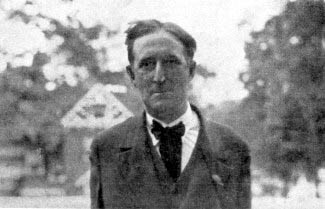 A substantial problem with Culbertson’s story is that Janowsky died in Hyères, France, in 1927. It was on this occasion that Culbertson invited Phillips to edit the English edition of Culbertson’s magazine, Bridge World. With a brief mention that pages 92-96 of Hubert Phillips’s Heptameron (London, 1945) contained a discussion of the Culbertson v Lenz match (‘the bridge battle of the century’) we bring this item to an end, before it strays from chess even more than intended. The above-mentioned passage about Lasker’s application was also reproduced on page 334 of CHESS, December 1940.